I was alone on the beach. I had seen it on the map: “Twelvemile Beach.” It sounded beautiful, and I was looking for a good hike out to the water. I started fresh in the morning, though not unreasonably early. There were a few cars at the trailhead and I figured I’d run into others hikers as I went. It took the better part of an hour, and I crossed many forks in the road along the way. 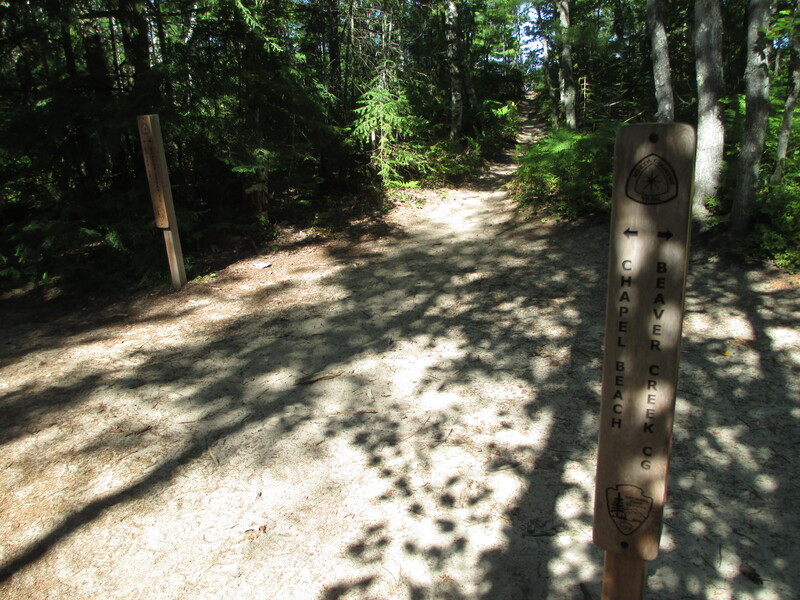 Each time there was a little wooden sign pointing the way to the trail I was on, the trail that led to Lake Superior. The hike was beautiful, serene. There were tiny streams and ponds. Giant boulders shaped by time. Strange plants that belonged in a movie about a foreign world. After a while I could tell I was getting close. Maybe I could hear the water, or smell the change in the air. I don’t remember what it was exactly, only the inarguable feeling of being near the great open water. I came to a clearing with three small wooden signs. There were four different trails listed on the signs. None of them were the trail I was on, nor were they pointing to anywhere I was trying to go. The path straight ahead was unlabeled, and I briefly considered how far I would be willing to go down an unlabeled path without confirmation I was heading in the right direction. The water felt so close. It couldn’t be that far. I walked forward on the path, and within 25 feet the dirt turned to sand. I pulled my shoes off to get through a steep bit of loose sand, and walked past the trees just beyond it. And there it was. Lake Superior. She was beautiful. I looked as far as I could in each direction and could see no one. There were no people, no boats, no buildings. 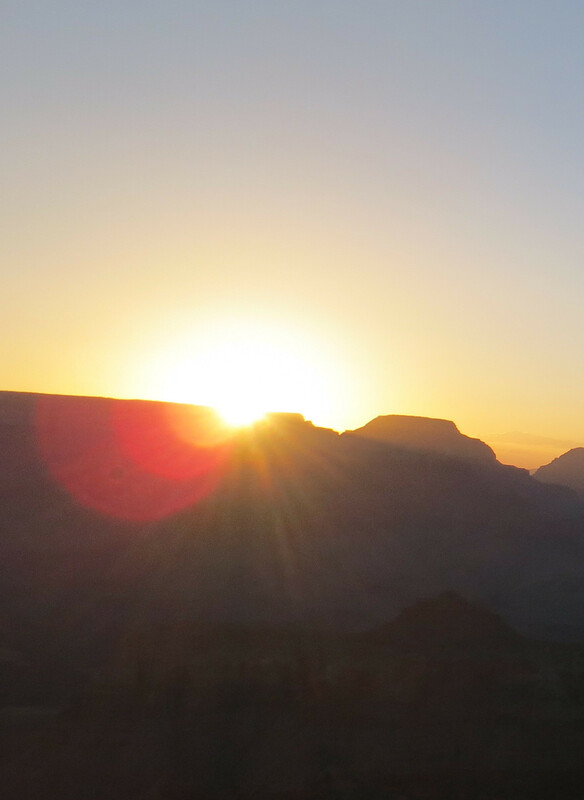 There were no other trailheads, and no footprints in the sand besides my own. With shoes in hand I strolled down the beach, sand coming up between my toes. Just like at the Shipwreck Coast Museum, the water felt dangerous and inviting. The waves were constant and crashing, but just small enough to make you think a quick swim wouldn’t be so bad. I wondered if she’d ever managed to snag any hikers off this trail. After walking for a while I reached the passable limit. The sandy shore became a rocky one, and the waves crashed up several feet in the air. 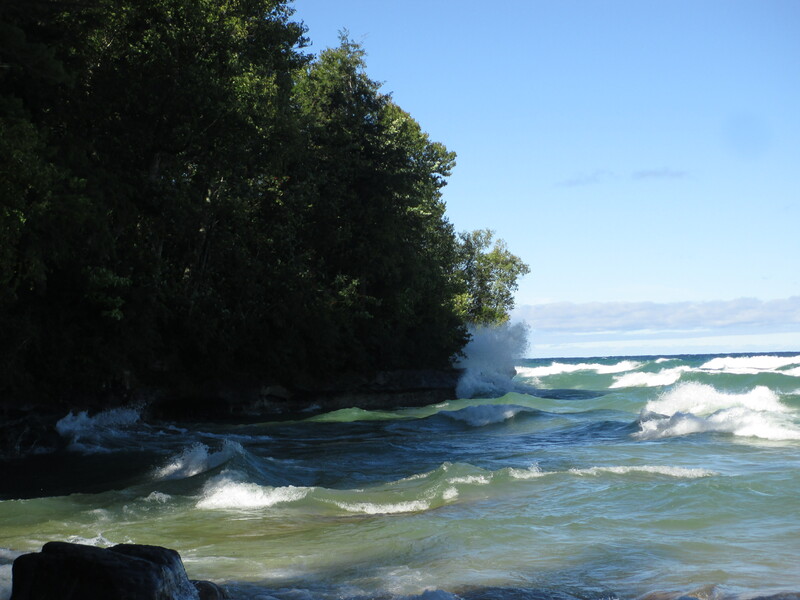 I took a few pictures and marveled at the water’s power and reach. I turned to walk back, amazed to still see no one. I followed my own footprints, sometimes finding that they’d already been washed away by the waves. When I reached the trailhead I stopped to take one last look at the empty beach. It’s not easy to find somewhere so beautiful, so easy to get to, yet so void of human influence. On my way back I came upon another solo female hiker stopped at the same confusing set of signs that had flummoxed me. I was about to let her know that she was only a minute from the beach when she made the right decision and passed me by. I couldn’t believe my luck. I had decided to leave at the exact right moment to have my entire beach experience to myself, and to allow her to have the same. Her moment wasn’t to last however, as I watched a group of three German hikers pass by towards the beach only a minute or two later. Shortly before I got to Michigan my sister insisted I add another song to my Road Trip Playlist. It was Simon & Garfunkle’s “America,” and I have to agree that it’s a great song for driving across the country. 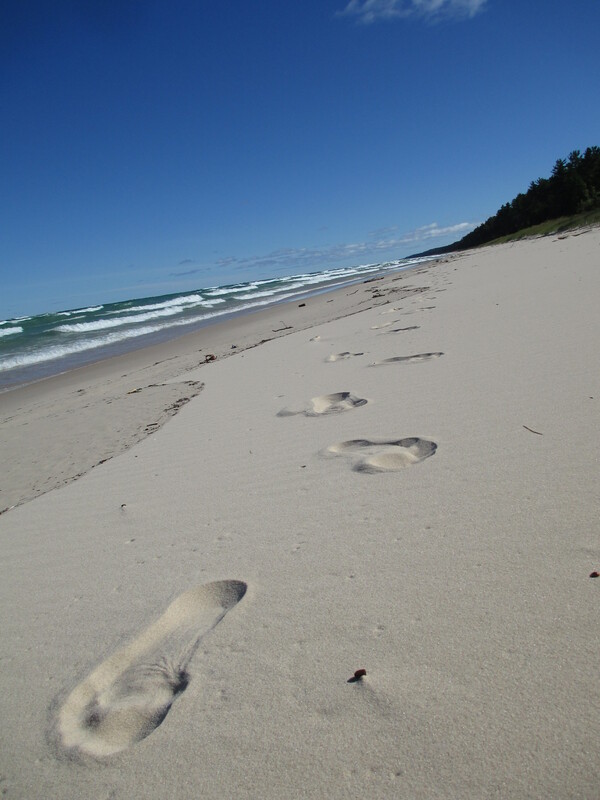 I would play it in my car while driving past big open farm fields, and I would hear Paul Simon declare that “Michigan seems like a dream to me now.” When I hear that line, I think of Twelvemile Beach and my footprints in the sand. 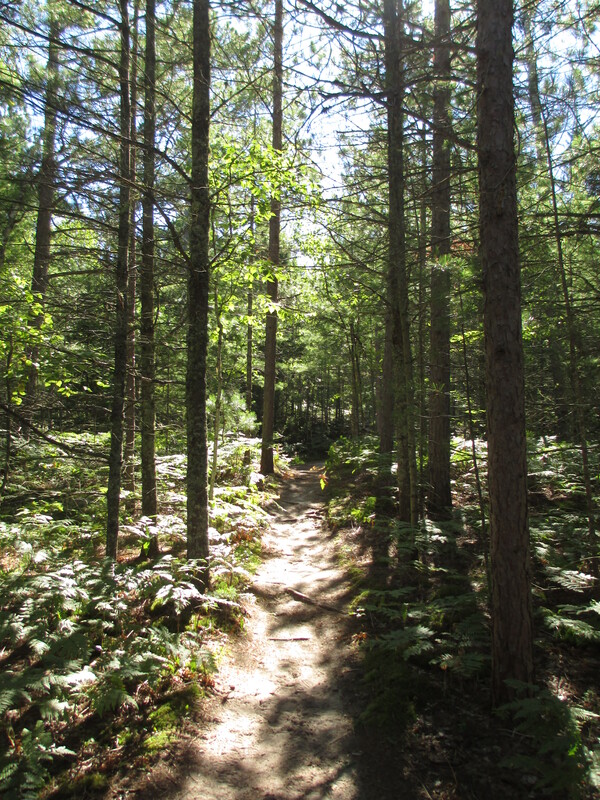 I think of hiking through the woods and fighting off the chill in Sault Ste. Marie and that night I woke up to the sound of some unknown animal snoring just outside my tent back in Interlochen State Park. It felt like I was in Michigan forever, but certainly not for too long. They told me to see the beaches of Northern Michigan, and I believe this is what they meant. They meant the beaches that seem too unreal to believe. When I close my eyes I can still see the water. Michigan seems like a dream to me now. Bandon, Oregon is the windiest town I’ve ever been to. 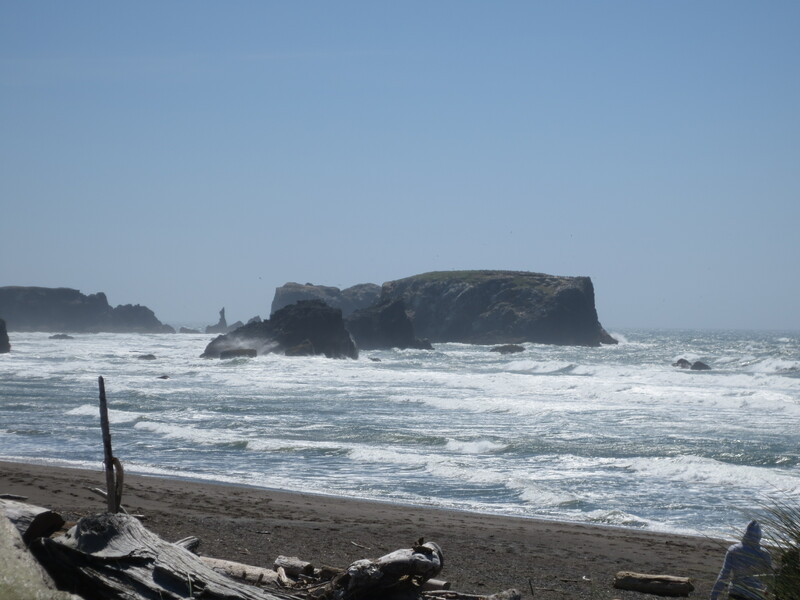 I went to Bandon because it had shown up on one of those “Best Beaches in the World” lists. 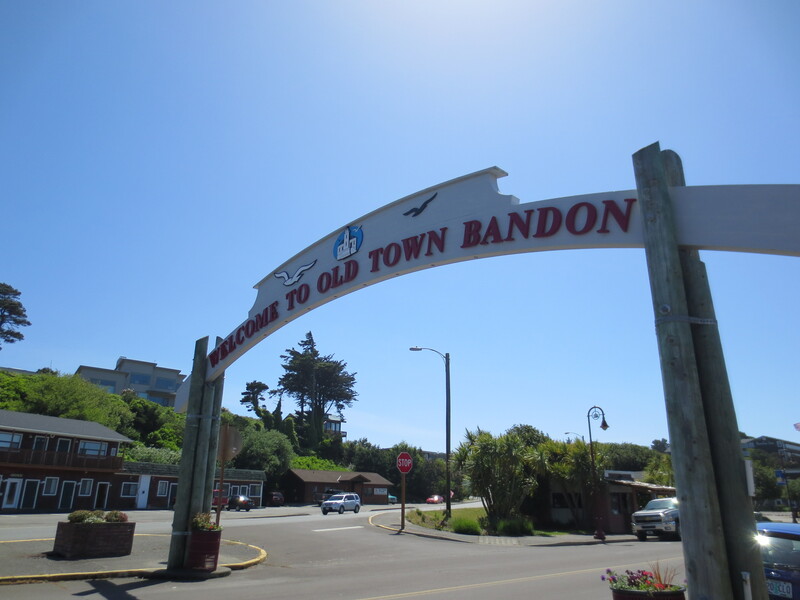 I had talked to a few Ashland locals about what else I should see and do in Bandon, and they suggested going to the old town area, which due to prominent signage is pretty hard to miss. Old Town is pretty touristy and pretty kitschy, but it has it’s charm. I stolled through candy shops and pet paraphernalia stores. I saw a man playing a harmonica. Not for tips. However the most distinguishing feature of Bandon is the wind. I had to hold onto my hat when walking along the docks just to keep hold of it. At one point in order to find some refuge from the gale I ducked under the awning of the fish cleaning station, which managed to keep it’s particular scent despite the constant opportunity to be aired out. 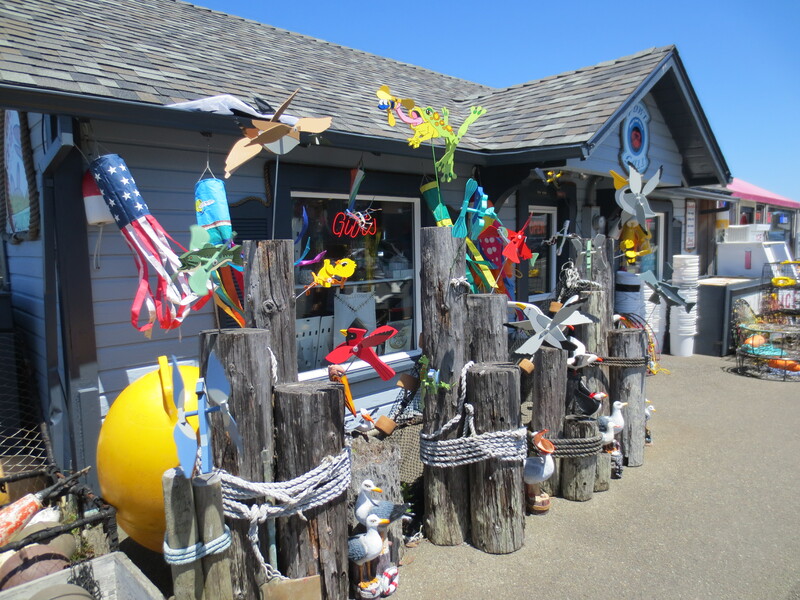 I stopped for lunch at Tony’s Crab Shack, and had a sandwich made with “Bandon’s Famous Crab.” I’ve started a policy of always ordering whatever item on the menu includes the word ‘famous,’ and it’s served me well thus far. I stopped by the visitor information booth, where I received some assistance from fellow travelers in keeping the front door from slamming into my face. A nice old woman behind the counter gave me instructions on how to get to the beach, and asked me three times if I had a windbreaker. I asked her if it was worth it to wear my hat and she shook her head. “That’s Bandon. We can’t keep a hat on and we don’t carry umbrellas,” she said. I parked on the beach and put on my hurricane jacket. I tightened the hood around my face and started to walk along the rocks. The beach I was on sits right across from the old lighthouse, and is home to what I assume is the new hornhouse, based on the noise it made every 24 seconds. I read the Tsunami warning and was suddenly filled with absolute dread and certainty that a deep ocean earthquake was happening at that exact moment, and I would never be able to make it to the evacuation route in time. What a way to go. Oregon’s nice but it would be a real shame to have only made it this far. The wind was so strong I could barely keep my balance, let alone hold the camera steady. There is a kind of beauty to it though. A kind of very specific, dangerous beauty. The waves and the wind are so high and strong, they crash up against the rocks like scenes from a movie about a storm. The mist blurs all the edges, from the rocks to the horizon. The Oregon Coast is not the kind of place you idle, it’s the kind of place you haunt.